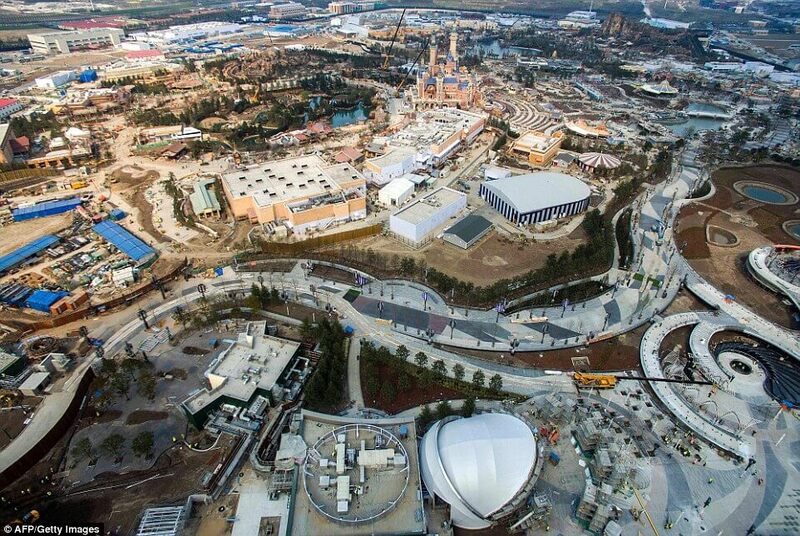 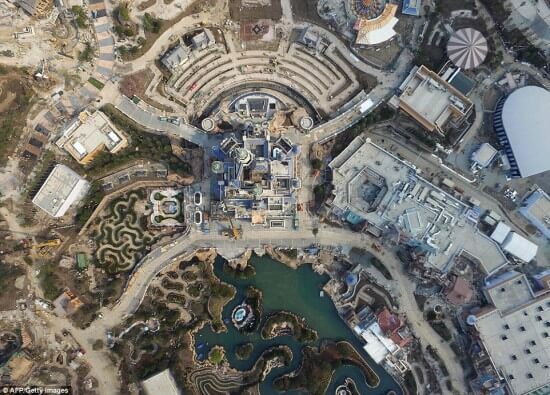 CCTV+ has released some new drone footage from high above the spectacular Shanghai Disneyland park that opens on June 16th. The footage gives us some awesome glimpses of both Fantasyland and Tomorrowland with its large Tron attraction. 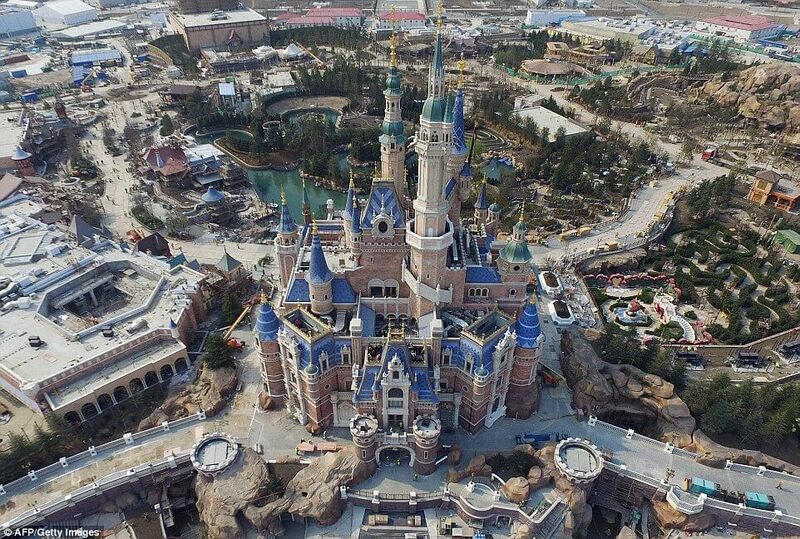 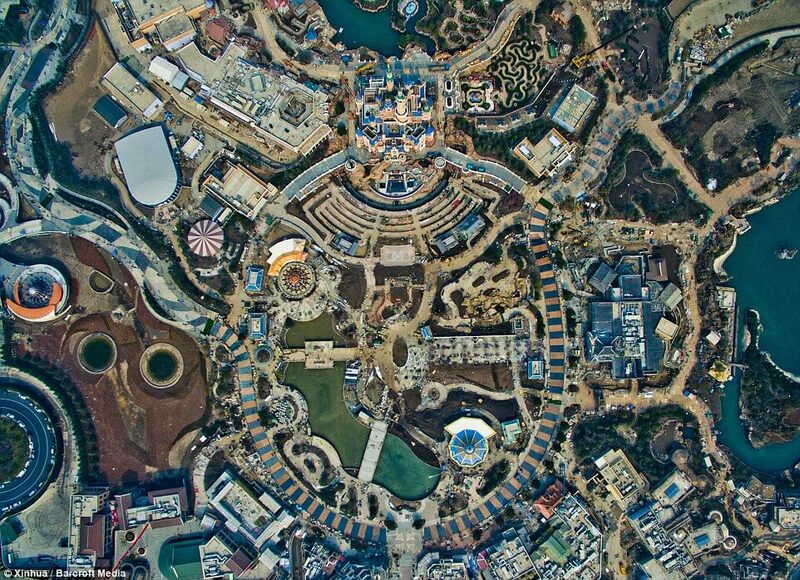 In these aerial images from Daily Mail you can see that the park is in its final stages of construction and the 196 foot-tall Enchanted Storybook Castle soars high up in the air over the rest of the lands. 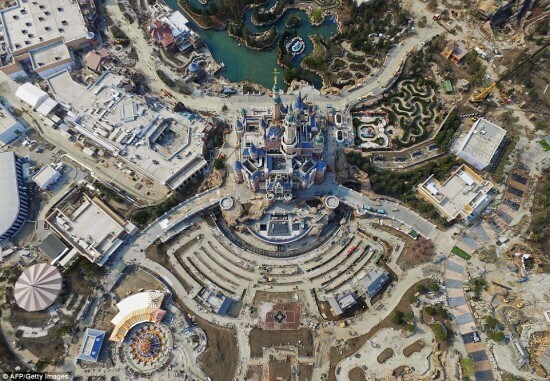 Shanghai Disneyland has already sold out of opening day tickets. Are you one of the lucky who got a ticket? 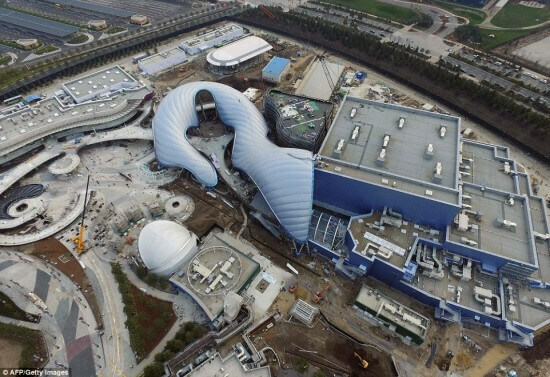 I tried to get a job on this project as an inspector. Disney did not believe they needed an American to help watch out for their interest. Good luck.